Members and veterans of the military qualify for our best rates. Proof of military service may be required. Students in grade school or college qualify. Proof of college admission may be required for college-aged students. Some things never get old – and we intend to keep it that way. NostalgiaCon is the first ever annual pop culture convention dedicated to the celebration of the 80s and the icons and events that defined them. 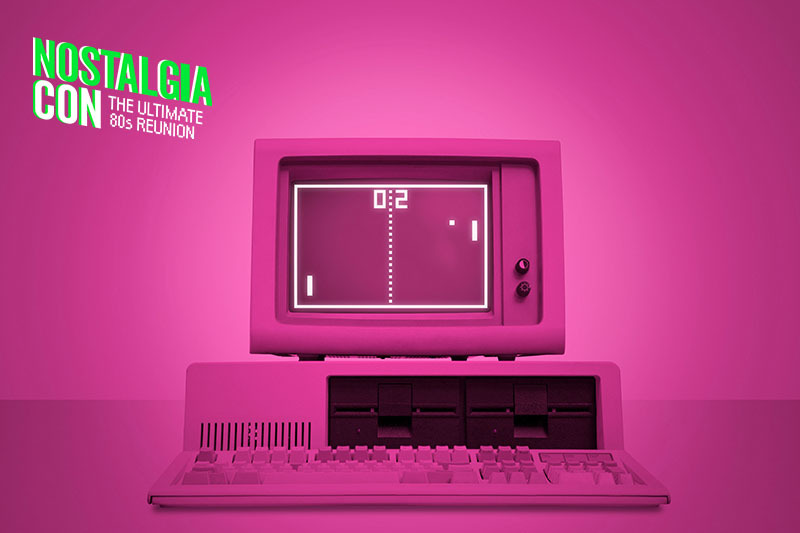 In the summer of 2019, NostalgiaCon: The Ultimate 80s Reunion will capture this phenomenon like never before. Inviting like-minded fans of all ages to rediscover these 10 iconic years in fresh, fun and innovative ways – including cultural sessions, panel discussions, celeb meet and greets and a massive expo for activations featuring movies, TV, fashion, food, sports, video games, collectibles, cars, and of course, music. The music of the 80s is as vital today as it was then, and we’ll prove it with three concert nights featuring the biggest, most influential artists of new wave, rock and hip-hop. NostalgiaCon isn’t just a recap – it’s a renaissance. Join us as we make history… again. NostalgiaCon Teaser from Martha Hipley on Vimeo.